Product #18615 | SKU TABM | 0.0 (no ratings yet) Thanks for your rating! This Paralinx Male Gold-Mount Battery Plate is designed to let you mount and power monitors and other accessories on Paralinx Tomahawk and Arrow-X receivers. It attaches directly on the receiver and is wired to support pass-through power from the battery that powers the receiver. 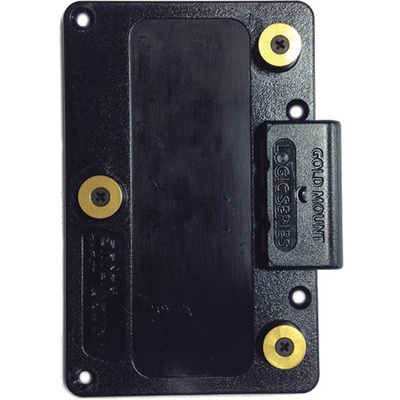 Alternatively, this plate can be used to easily mount the Paralinx Array Panel Antenna (Gold-Mount version) to Tomahawk and Arrow-X receivers.